Detail from an astronomy exhibit on Doppler shift at the Air and Space Museum. 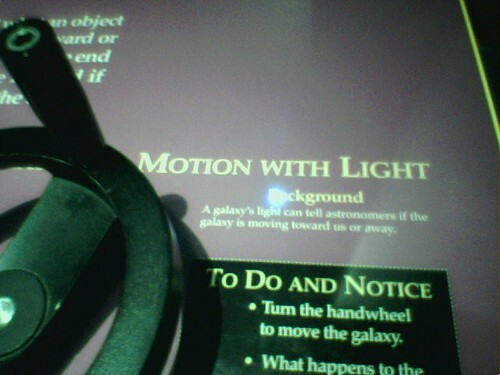 Notice the directions by the handwheel. Wow!